Following the huge success of the revival of Andrew Lloyd Webber’s Sunset Boulevard, starring Glenn Close, Lonny Price returns to the London Coliseum to direct a semi-staged production of Rodgers and Hammerstein’s Carousel, starring Alfie Boe and Katherine Jenkins. 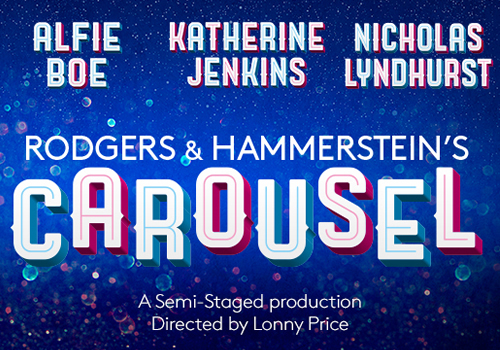 Running for a strictly limited 41 performances, Carousel is the second musical of the year after Bat Out of Hell to be announced at ENO’s prolific venue, playing from April 2017. Created by the duo behind The Sound of Music and South Pacific, Carousel was last seen in London at the Savoy Theatre in 2008. Following the topsy-turvy life of Billy Bigelow, Carousel is the story of a charming carousel barker in search of redemption. Fifteen years after getting caught up in an armed robbery and taking his own life, Billy returns to earth to make amends, but discovers that his daughter has grown into a haunted, lonely teenager. Quickly, Billy vows to restore pride back to his family name. 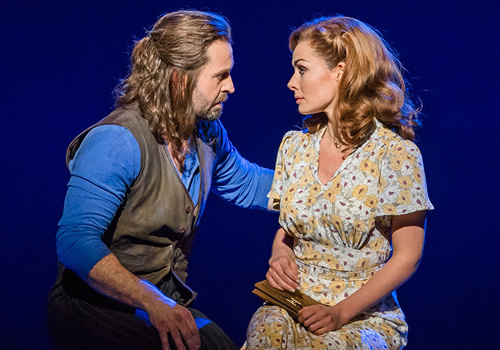 West End megastar Alfie Boe returns to the stage to play Billy, after most recently appearing as J. M. Barrie in Broadway musical Finding Neverland. 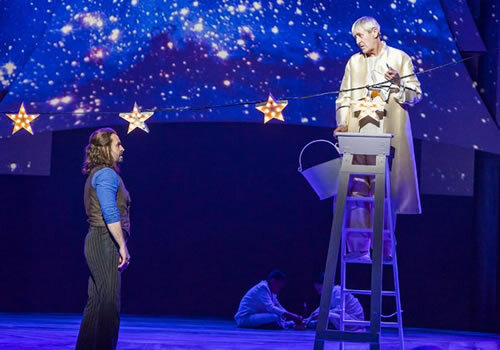 A platinum-selling recording artist, Boe made his debut as Jean Valjean in Les Miserables, going on to star in the show’s 25th Anniversary Concert. An English tenor, Boe has studied at the National Opera Studio and Royal Opera House, with credits including The Pearl Fishers and Romeo et Juliette. Currently, he is embarking on UK tour Together, alongside Michael Ball. 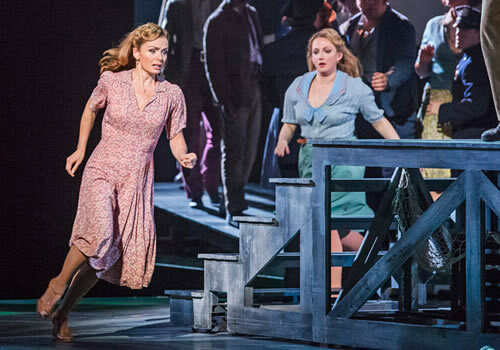 Carousel also stars renowned Welsh mezzo soprano Katherine Jenkins, who makes her theatre debut as Julie Jordan. After training at the Royal Academy of Music, Jenkins has recorded ten studio albums, with Second Nature and Living a Dream receiving the Classic Brit Awards Album of the Year. Further casting includes Nicholas Lyndhurst (Only Fools and Horses) as Star Keeper. As well as bringing Sunset Boulevard and Sweeney Todd: The Demon Barber of Fleet Street to the London Coliseum, Lonny Price has extensive credits to his name, including Lady Day at Emerson’s Bar & Grill and Company. 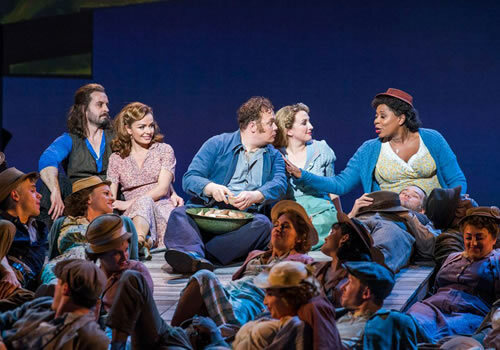 Carousel is brought to the London Coliseum by ENO, in partnership with the GradeLinnit Company. Previews begin on April 7th 2017 and the show runs until May 13th 2017, with an official opening night on April 11th 2017. Carousel may not be suitable for young children.